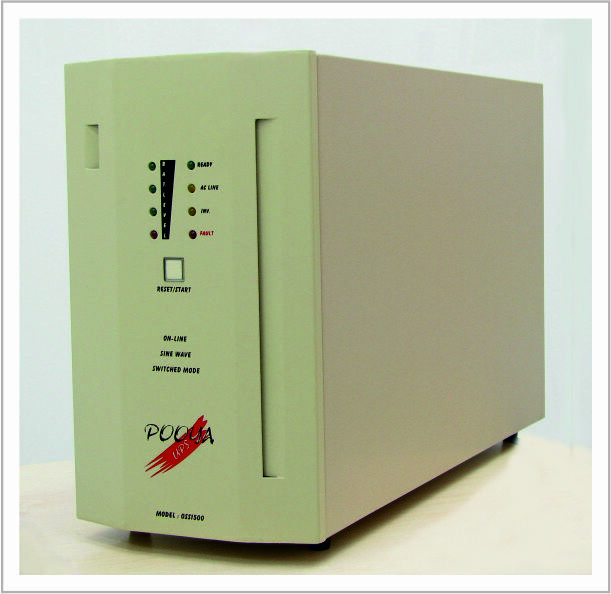 Along with the intense power fluctuations and recurring power outages of the city, the first online UPS switch was designed and produced in the country by Pooya. 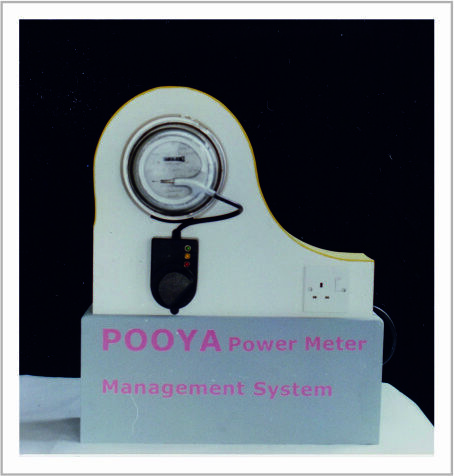 This U.P.S has a capacity of 1500 V.A and the power of 1 KW. It covers a vast range of input electricity and supplies a completely sinusoidal electricity with a fixed voltage and frequency. It is worthwhile to mention that, electrical shocks and long or sudden power outages, do not affect the performance of this UPS. There also is no limit to increasing the battery. This small terminal is used to read and write information on smart cards. 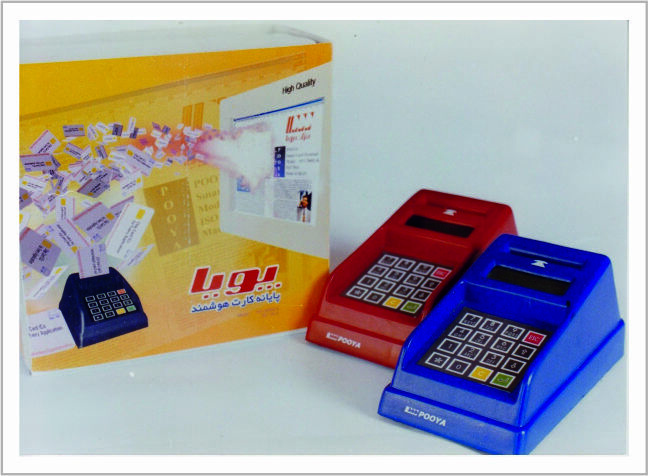 Pooya designed, produced and presented the POS terminal, along with introducing various applications of the smart card such as ID cards, Entrance/ exit cards, Driver licenses, Banking checkbooks, Health /Medical ID, Credit cards, Telephone cards and etc. This system provides a safety feature in opening and closing procedures for safe boxes in offices, houses and safe deposit rooms in banks; without the need for a key, using a smart card. 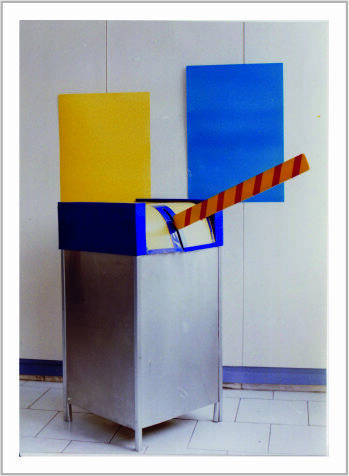 This system is used to show the variety of applications of the smart card. 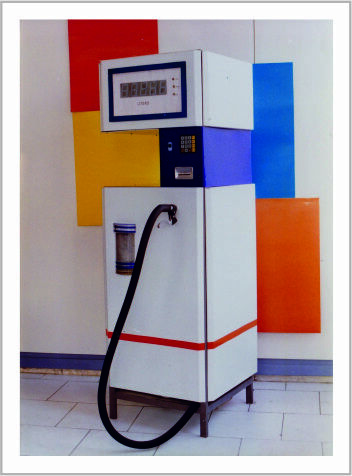 This system enables car owners-drivers to use the fuel dispenser in the gas station and make payments without any clerks on duty. This system is used in apartment houses and public parkings, without a need for an operator or clerk on duty. This system enables toll collection in highways without the need for an operator-Using a smart card. This system cashes Iran checks by identifying the check serial number, the issuing branch, and the check amount. This device enables the payment of all sorts of bills, by reading the barcode on the bills. 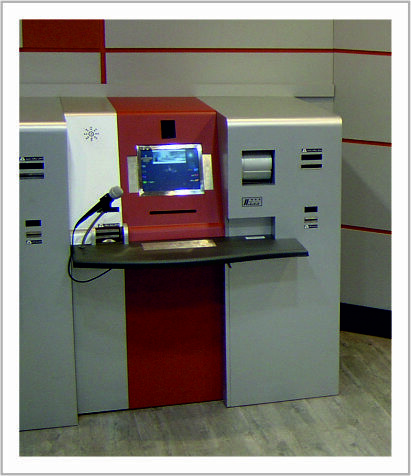 This system is an innovation in the banking industry. It has a very simple and attractive design. By sitting at this table, the customer can do all kinds of transactions conveniently; such as making deposits, making payments, redeeming traveler’s checks, exchanging currency, depositing checks, and ordering check books.